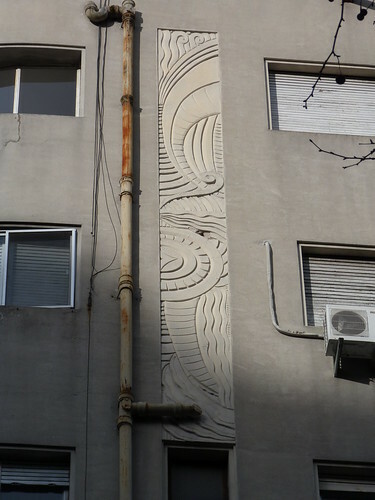 Montevideo was such a great Deco city to explore. 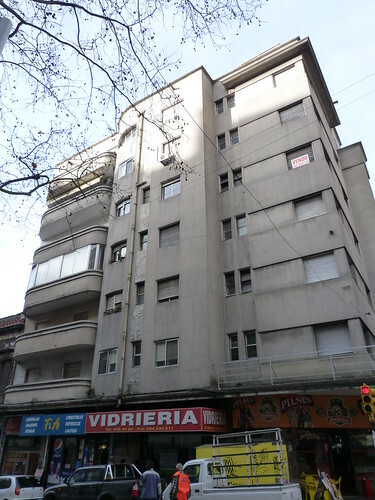 This apartment building is just a block or two off the main street Avenida 18 de Julio. 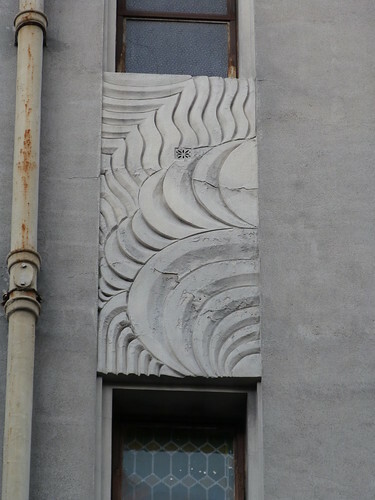 It has an interesting asymmetrical façade with squared edges on the corner of the building and curved balconies on the other side of a central projection. 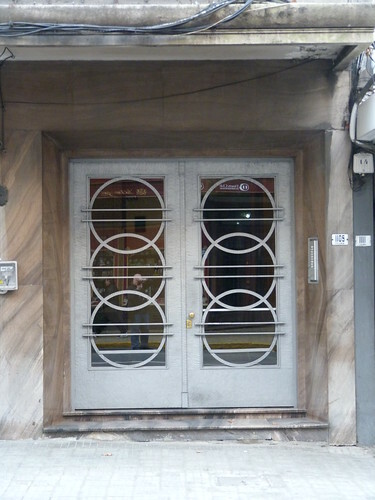 The main doors are around the corner and feature metalwork consisting of interlocking circles and and horizontal bars. 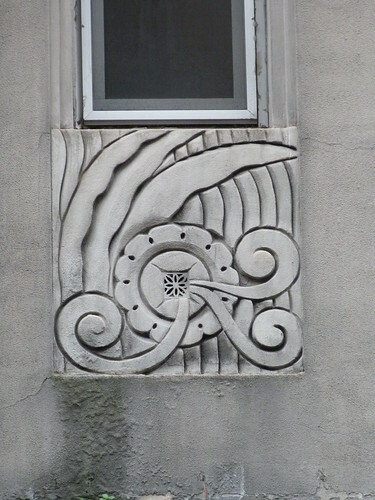 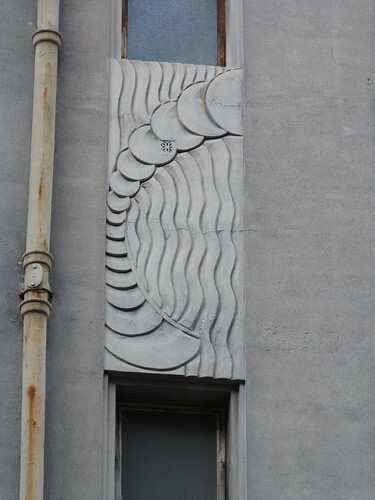 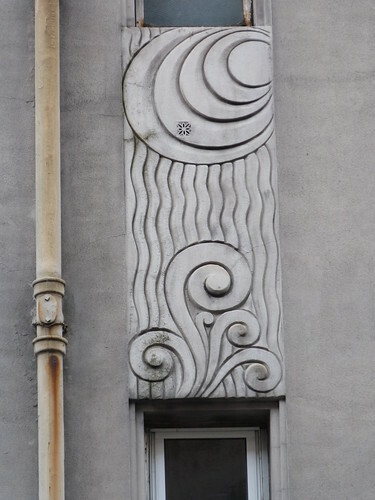 The really interesting aspect for me however is a series on panels on the projecting section of the façade bearing combinations of circles and other geometric and floral patterns.